The Tower, otherwise known as St George Wharf Tower or Vauxhall Tower is a residential skyscraper at the riverside, being the final phase of the award winning St. George Wharf Development. The St. George Wharf is one of central London’s most sought after luxury riverside developments. Tower is 181 metres (594 ft.) high, being composed of 50 storeys making it the tallest residential building in the UK. The building was designed by Broadway Malyan and the main contractor is Brookfield Multiplex Construction Europe Ltd. The development is topped by a wind turbine which will power the tower’s common lighting. The stunning development has 223 luxury apartments, offering one, two and three bedroom apartments and also penthouse apartments. The Tower design is highly attractive and its structure optimises the river and London views. 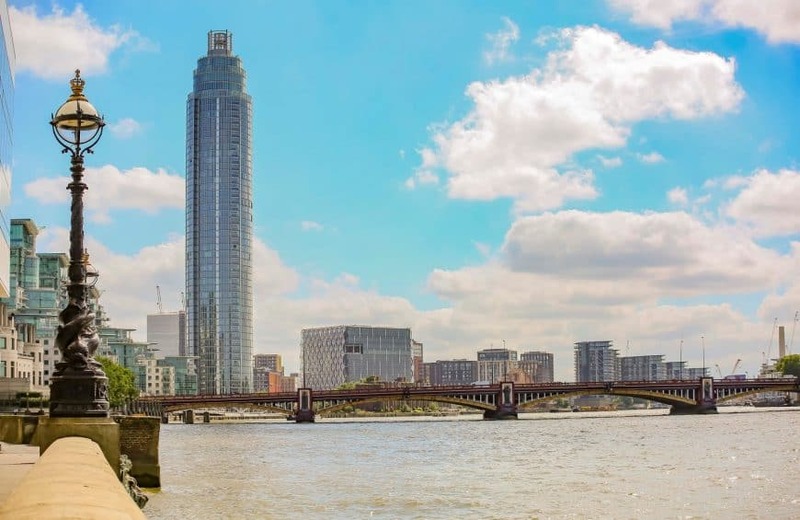 The Tower benefits from the lovely village atmosphere of St. George Wharf development, along with a pleasant 275 metre riverside walkway and Piazza. The Tower, St George Wharf offers the perfect balance of cosmopolitan living and convenience, with two river facing brasserie-like-restaurants; Young’s Riverside Bar & Restaurant and Aqua River Brassiere, which make the area an enjoyable meeting spot with friends and colleagues. For additional convenience, other on site outlets include Pret A Manger, Tesco Express, Hudson’s Dry Cleaners, the Gym Group, Dental spa and state of art Riverside Medical Care. Still to come, Vauxhall is full of new plans, with upcoming developments, parks, US Embassy and new transportation links. The Tower is simply enjoying of one of the most desirable addresses in London. The apartments in The Tower have been given the highest standards of specification found across London developments. The apartments enjoy the finest panoramic river and London views, including views of the Houses of Parliament, the London Eye, the City, Battersea Power Station and Chelsea Embankment. The apartments also benefit from fully fitted luxury kitchens and bathrooms designed to perfection. They come with a valet parking, mood lighting, floor to ceiling windows and sky-garden sitting areas along with many other features.